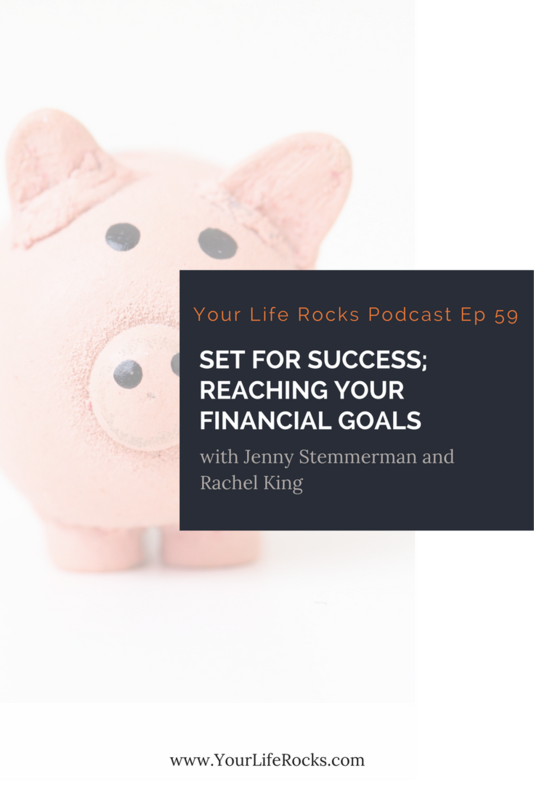 In this episode, we are joined by our Financial Lifestyle Expert, Rachel King. This series is all about helping your reach success with your goals. Sometimes we need to model our behaviors after women who have found the success we are looking to achieve. Listen in as Rachel shares tips from women who have success in their finances. Start as early as possible. As Rachel mentions, this is two fold. Number one, starting early with savings. The earlier in life you can have your financial systems set up for both savings and investing, the better the results you will get. If you have not yet started, now is the time. The second point to this is having a solid morning routine. Waking up a bit earlier. I know, it doesn’t seem that it would have an impact on your finances, but starting off your day in a productive way will have a split over effect into all areas of your life…including your finances. Next, they work toward a goal. What is your current financial goal? Maybe paying off debt or cleaning up your credit, having a clearly defined goal and creating a plan to get their will help you focus your success. Successful women use credit wisely. Think of it like a pendulum. You have to use credit to have credit but being late on your payments or spending more than you can afford will hurt you in the long run. Like so many other things in life, it really comes down to finding balance…a happy place in the middle. Automate your savings. Saving money can be hard but if you can automate it so you don’t even miss the money, you would be amazed in the traction you can make toward your goals. Check with your bank about the systems they offer to do this. You can even adjust your direct deposit through your employer to have a set amount of your paycheck transferred to your savings account. It’s all about making life easier, right? Here is another one…they track their spending. Inside our membership, Life Balance, we teach about SOPs. That stands for Standard Operating Practices. Have a monthly practice of tracking your money is important. It’s like a monthly reality check. Plus this makes your monthly budgeting that much more effective. Women that are successful in their finances make considered purchases. Are you a wise spender? God has called us to be good stewards of what we are given. It is a fruit of the spirit and something that we should be making a prayerful effort to do. They also invest in themselves. Yep. They spend money on themselves to grow. To reach goals. Think about it this way. We invest money for the future we want. Why not invest money in the future person we want to become? Seminars, classes, coaches, books, it is all important. This next tip might seem obvious on the surface, but don’t skim past it. Successful women earn more money. Sometimes as Christians we can get weird about money. Truth is, the more you have the more of a blessing you can be for others. How can you make more money? Maybe it is asking for a raise. Maybe it’s taking up a hobby business or starting something on the side that will generate an extra income. This is valuable in helping you reach your goals so much faster. This is something that both Rachel and myself (Jenny) specialize in. Reach out to us! We would be happy to help you discover a way to do this for yourself. Lastly, women who are financially successful give. As a body of Christ, this is something that we are called to do. Take care of each other and give our time, our finances, and our talents. God blesses those that give abundantly. Pray about it and see where the spirit would lead you.